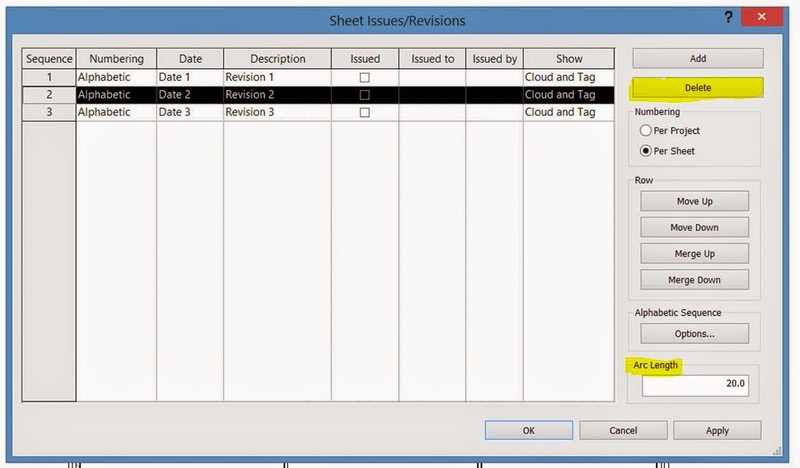 Some new improvements in Revit 2015 are the additional features added to the Revisions tools. Below are brief description of these new features. 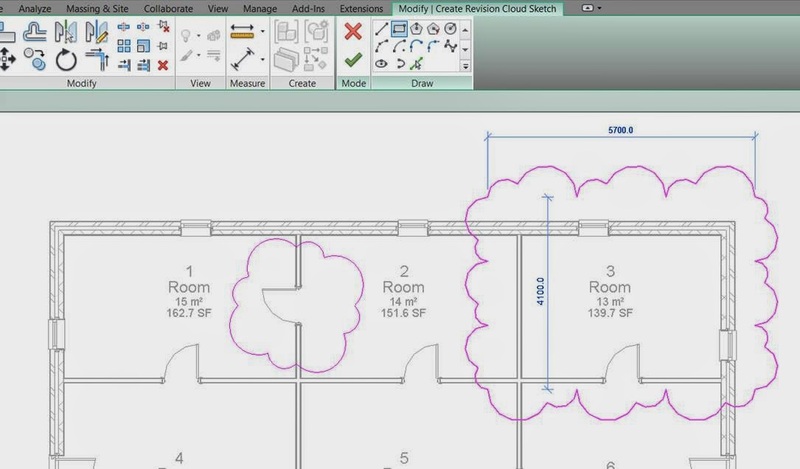 Previous version of Revit only had a freehand draw for revision clouds, Revit 2015 now has the same set of draw tools found within the other sketch modes. This allows for more accurate lines and shapes to be produced for revisions clouds, which can prove useful when elements are close together. The ability to delete a Revision – very useful if last minute changes are made in the revision process. The ability to specify the automatic revision cloud Arc Length in increments – much needed to increase accuracy of the cloud.